This deliriously funny new Jones Hope Wooten comedy (Futrelle sister trilogy, The Hallelujah Girls and The Red Velvet Cake War) is all about that four letter word: L-O-V-E. Under a full moon on this unpredictable night of romance, these four rollicking tales take you on an around-the-globe journey of unexpected and hilarious twists and turns: A slick, successful used car-selling Romeo (Michael Hays) in Dallas believes he's answering Cupid's call, only to realize too late he's wandered into a life-changing trap set by three fed-up 'Juliets' (Susan Chmurynsky, Susan DeRosa, Angela Dill). In Manhattan, a man (Chris Klaver) tries to battle his way out of a mid-life crisis with an ill-advised and elaborate marriage proposal. Unfortunately, it all goes wildly off track when his caterer passes out (Angela Dill), a singing telegram girl (Sarah Hauck) arrives and breaks into sobs rather than song, his ex-wife (Tarwyn Rouse) saunters in wearing nothing but a bathrobe and a cowering super hero (Jason Carlen) inches nervously across his twelfth floor window ledge. In a rooftop London bistro, sparks fly when two strangers (Elizabeth Todd, Bob Murrell) surprisingly start to connect, only to be thwarted by a hyperactive American tourist (Rachel Mender) who's determined to be the center of attention and the unpredictable antics of an ancient waitress (Connie Curran-Oesterle) who wields a wicked sousaphone. And finally The Hallelujah Girls, a group of fun-loving gals from Georgia (Janet Anderson, Leann Dethlefsen, Carol Ferris, Linda Granger, Jan Ross), say aloha to their wild sides as they accidentally crash a Hawaiian honeymoon in progress. By the time the evening is over and the moon works its magic, love will conquer all and your sides will ache from laughter! Visit out Facebook events page! 10:00 pm - After "Glow" reception at Houlihan's in the Lansing Mall. Question and Answer period with the playwrights, cast and crew, a drawing for free tickets to future shows, photo ops, hors d'oeuvres & one house beer/wine ticket. 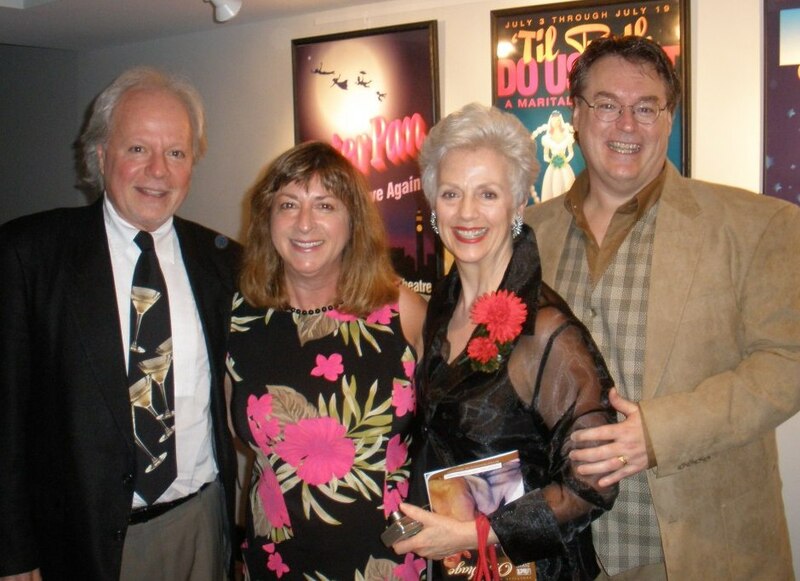 Starlight to premiere comedy trio's newest work in 2013! DELTA TOWNSHIP, MI -- Three of the most popularly produced living playwrights in the United States have tapped Starlight Dinner Theatre to be the home of their next world premiere. 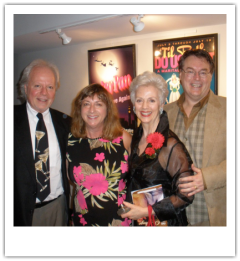 Jessie Jones, Nicholas Hope and Jamie Wooten (www.joneshopewooten.com) have had more than 1,800 productions and 12,000 performances of their jointly-written comedies. Next season they will premiere the latest in the series of the Jones, Hope and Wooten comedies at Starlight. Granger met the playwrights in 2008 when they were touring Michigan theaters. Starlight Theater hosted a picnic supper for them. The title has yet to be announced, but Starlight Dinner Theater will include it as their opening show of Season 9 in October 2013. “We are thrilled with the prospect of a JONES HOPE WOOTEN World Premiere at the fabulous Starlight Dinner Theatre in Lansing in 2013,” Jones said. Meanwhile, Starlight opens “The Red Velvet Cake Wars” to keep their faithful audiences up to date on the latest happenings with the three Verdeen cousins of Sweetgum, Texas (just down the road from Fayro) whose love and warring will keep audiences in stitches.